The Kayseri Chief Public Prosecutor’s Office has issued detention warrants for 14 businessmen as part of an investigation targeting people linked to Turkey’s Gülen group, which is accused by the Turkish government of masterminding a failed coup attempt on July 15, the state-run Anadolu news agency reported on Wednesday. Six of the 14 businessmen were detained in operations in İstanbul, Adana and Samsun as well as Kayseri. The businessmen are accused of transferring money to the movement’s organizations abroad via Bank Asya, a Gülen-linked lender, and providing financial support to the Gülen group. 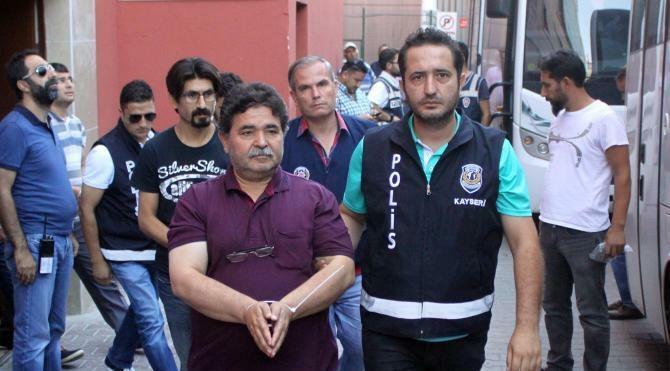 Dozens of other businessmen, including many from the Kayseri-based Boydak Holding, were also sent to jail due to alleged Gülen links following the July 15 coup attempt. Turkey’s Justice and Development Party (AKP) government has seized a total of 942 companies with a total value of TL 40.5 billion since the failed coup attempt, according to a statement made at the end of May by Deputy Prime Minister Nurettin Canikli in response to a parliamentary question from Republican People’s Party (CHP) deputy Atila Sertel. Canikli said eight of these 942 companies seized by the government were the following holdings: Naksan, Hasırcı, Boydak, Koza-İpek, Dumankaya, Kaynak, Akla and Akfel, under which 234 companies operated. The total equity capital of the seized companies is TL 18.1 billion, while their combined turnover was TL 21.5 billion, according to a report by Turkey’s state-run Savings Deposit Insurance Fund (TMSF). The number of employees in the seized companies is 44,868. The companies are allegedly connected to the Gülen group, with the government coining the term “FETÖ” to designate the movement as a terrorist organization. The group strongly denies any involvement in the attemopt.